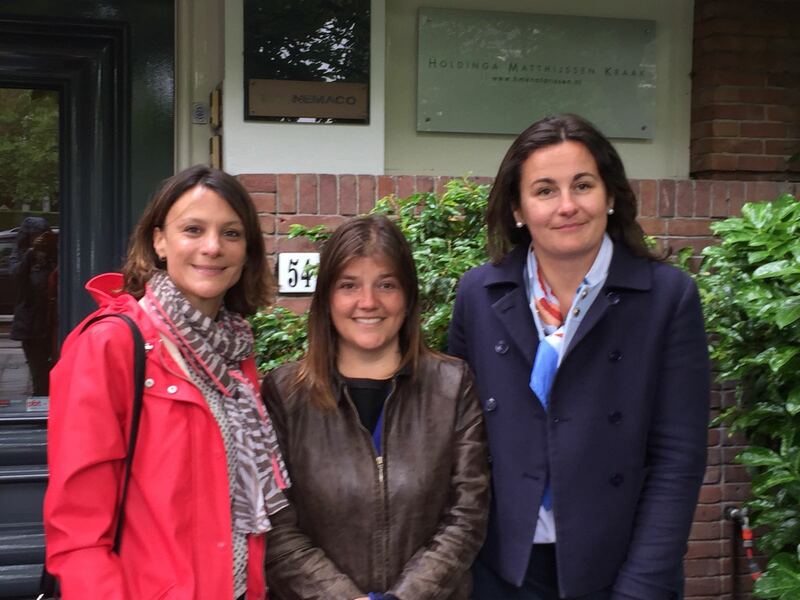 The team was able to present the project of French secondary school in Amsterdam to the Ambassador Mr Philippe Lalliot, as well as Mrs Grossi (cooperation and cultural advisor) and Mrs Ricordel, (cooperation coordinator for French language) during an appointment at the French Embassy in Den Haag. Our consultants from Turenne Consulting made the trip from London, to help us carrying the project. We received a very favorable welcome and most valuable support! Today the Foundation has opened its bank account at ABN AMRO! The team went to meet Senator Olivier Cadic on October 26 in Paris to discuss the creation of a College in Amsterdam. The senator received us kindly and supports our project. On Wednesday, June 7, 2017 we went to the notary to sign the statutes of our foundation “Un Collège français à Amsterdam”. Thanks to your donations (past and future), we formalized the school to move forward in our efforts. Thus, we will be able to target companies potentially interested in sponsoring a French secondary school in Amsterdam. As a result, they will be able to deduct taxes from their donations. If you have any good contacts in companies possibly interested by the project, do not hesitate to let us know. It is now time to give us a real boost! We need some funding to create the foundation and to be able to continue our project. Thus, we understand that everyone can not – still – reserve a place for his child by contributing 250 €, or even that everyone does not feel particularly concerned by the imminent opening of a secondary school in Amsterdam. However we would like to be able to count on a small participation of those whom the project challenges or interests. If everyone gives 10, 20, 40 euros it could really allow us to move faster. If you want to know more do not hesitate to come to question us.